AIR FM Gold Live Streaming Online . 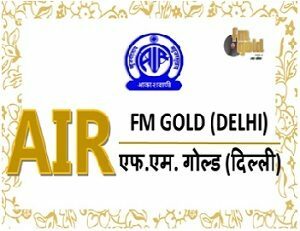 AIR FM Gold is available in the four Metros i.e. Delhi, Mumbai, Kolkata and Chennai. It is run by the All India Radio, a government owned enterprise, a division of Prasar Bharati . It broadcasts Hindi songs, and occasionally English songs along with hourly news in English and Hindi . Press play button to start listening to this radio station . FM Gold Channel came on air on 1st September, 2001. Broadcast from AIR Delhi as a niche infotainment channel, it has 30% News and Current affairs component and 70% entertainment programming. Please Contact us if you face any problems in listening to this radio station .